When playing game some time client freeze, when that happens check your writeback disk performance from the CCBoot Disk Manager (Figure 1). If the "Idle (%)" value of the Write-back disk is too low (below or around 10%) for more than 20 seconds, then our write-back disk has problem. You need to optimize it immediately. 1) Enable the client cache. 2) When you have more than 20/30 computers then one write-back disk is not enough. We recommend using two or more write-back disks. a. If you have multiple disk for writeback disk then check if they are set in the CCBoot Disk Manager or not. If they are not set then set it (Figure 2). b. Above, one of the disk is not set as writeback disk so, set the disk as writeback disk. Please refer to "Disk Management" (Figure 3). 4) We recommend using SSD for writeback disk, as it has higher read/write speed and can handle large number of read/writes compared to traditional HDD. 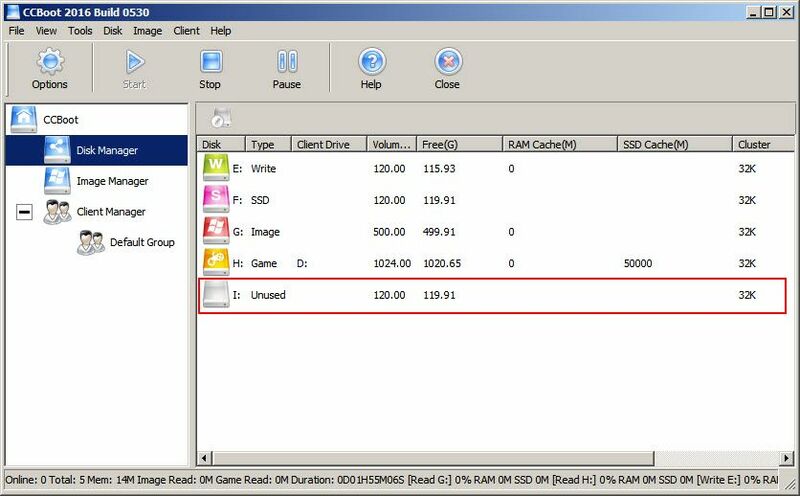 5) If you already have SSD on each PC then you can use it as local writeback disk so that it will improve performance. 6) When you choose disc for writeback look at IOPS for random write, it should be at least 80K-90K. For example we recommend SSD Samsung EVO 850 (or EVO 860) for writeback because it has IOPS up to 90K for randomly write. 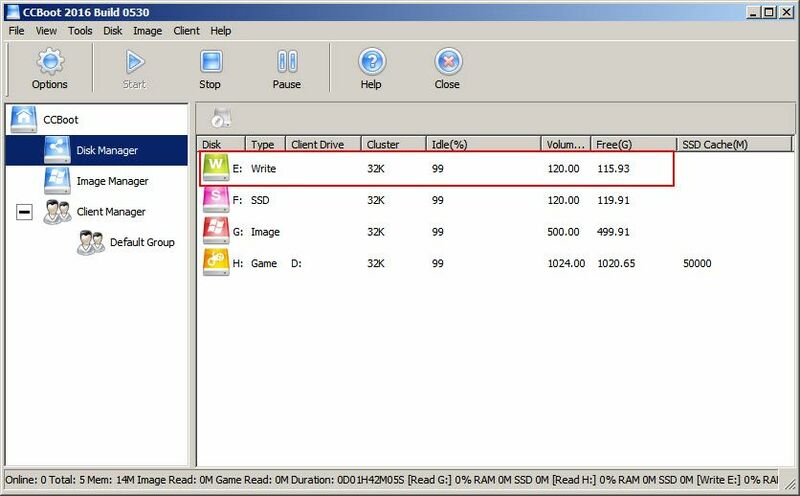 IOPS for random write is one of the main performance indicators of SSD for diskless systems, since one disk is simultaneously used by several clients and they write (and read) data from different parts of the disk at the same time. i.e. the more operations per second can make the SDD the higher the data rate. 7) Check whether there is any program which is doing a lot of read/write on the disk. If there is, you need to find it and then stop its service. For details, please refer to "Find Large Write-back Speed Program". If you are using Windows 7, check whether it is installed with the latest patches. If not, please install the latest patches in your Windows 7. 8) Your clients may have idle time disk defragmentation scheduled and running when pc becomes idle.